On the outermost southwest edge of Bremen lies Seehausen. While the largest part of this section is made up of marshland, the only main street runs parallel to the flow of the river. Just under 1.100 residents live here in single family homes and farmhouses. The neighbourhood was created from the two villages of Hasenbüren and Seehausen and incorporated into the city of Bremen in 1945. It’s called because Seehausen because a former branch of the Weser River turned into a "See”" (lake). Even after being incorporated into the city of Bremen, Seehausen retained its rural character. Old farms - the oldest is supposed to originate from the year 1643 - mark the neighbourhood, although only a few are still working farms. Behind the row of houses lined up along the Seehauser and Hasenbürener Landstraße, spans a wide marshland dotted with wind turbines. In Seehausen, you can live the country-life between the river and meadow without losing the proximately to the city. Traveling along the "Bremer Landroute Niedervieland" (Bremen country route Niedervieland) is the best way to enjoy Seehausen. Biking through the neighbourhood you can learn more about the history of Seehausen while enjoying the outdoors. The 15-kilometre-long route starts in the Neustadt and ends in Strom. It’s connected with the bike-path network of the "Grünen Rings" (Green Rings), which offers a number of attractions and excursion recommendations all around the Hanseatic city. Stressed out big-city folks can experience real nature in Seehausen. The vast marshland with its green meadows offers plenty of space to breath freely. Enjoy a leisurely bike ride or have a walk and take in the landscape with its wildlife. Those who find it difficult to leave big city-life behind can get a good view of the town from the dike. 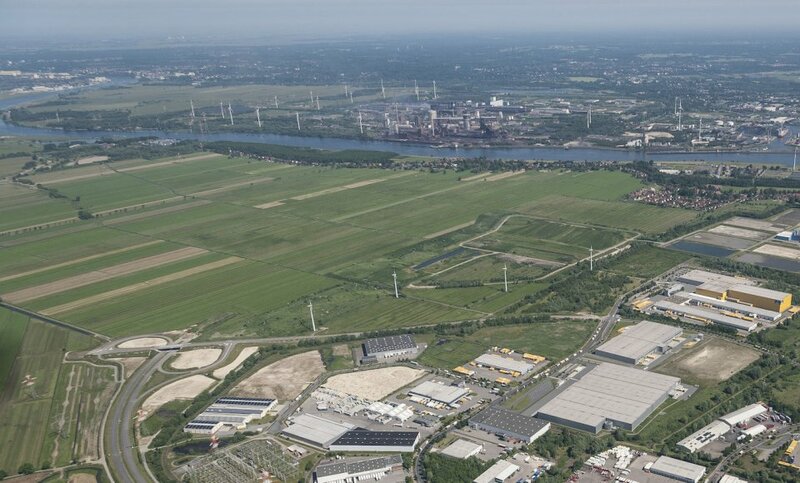 The setting of Bremen-Seehausen isn’t completely rural since at the south end, as well as directly on the other side of the Weser, there are commercial and industrial facilities. This combination of the rural idyll with the industrial gives this neighbourhood romantic views throughout. The view from the Weserdeich of the Klöckner-Werke can be particularly recommended. ...and still have the city close by - Seehausen makes it possible. Whether in an old house or new build, here you can enjoy the quiet of country. But the city centre isn’t far away and is easily reached with the 62-busline. It takes 20 minutes to get to the main train station or the international airport with a car. In the economic upswing of the 1960s, there was a plan to make an industrial park out of Seehausen. The section of Lankenau had to completely give way to the Neustadt harbour and parts of Seehausen were also torn down. With the construction of the harbour, the only direct street into Seehausen which runs along the Weser was now passé. Citizen protests and subsequently recognition among political decision makers prevented the building of a second new harbour basin, which would have meant the end of Seehausen. However, the population of the neighbourhood, which reached a high of 1,530 residents at the end 1950s, was never reached again.